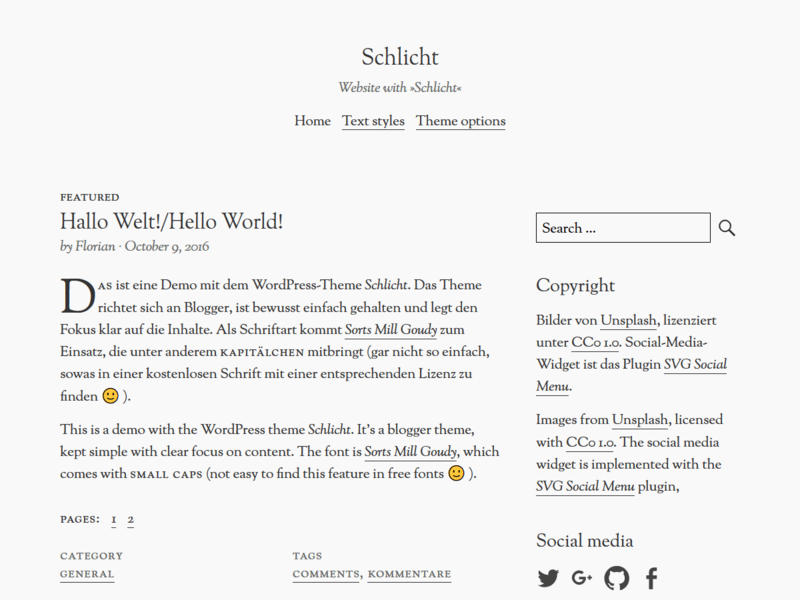 Schlicht is meant for bloggers and sets the focus clearly on the content. 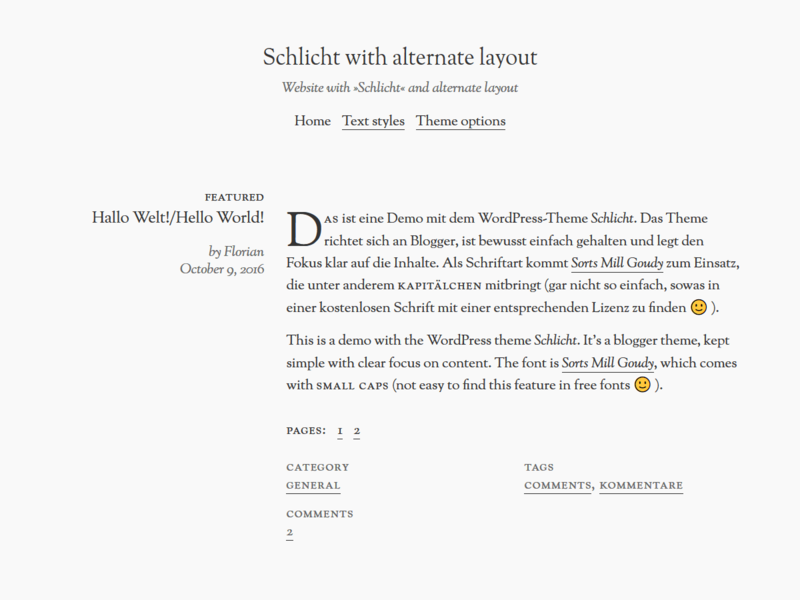 It is kept fast and straightforward with a few options in the customizer: you can change the font, choose an alternative layout, create pages without a sidebar and enable drop caps. You can find the theme on GitHub. 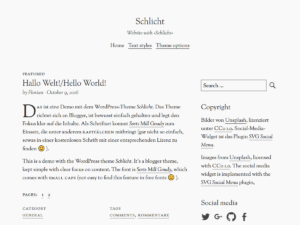 Feel free to give it a try – you can find an installable schlicht.zip on the releases page. If you like it and want to use it for a website, I would be thrilled if you would buy it – thanks ❤ (besides my eternal thanks you will get support if you have problems with the theme and the ability to use the automatic updates feature for one year 🙂 ). Schlicht is translation ready and is currently translated into German (informal) and English. If you want to translate it into another language, write me an email. The content area of the classic layout has a maximum width of 791 pixels, in the alternate design a maximum width of 771 pixels. So your media should be at least 791 pixels wide to display it over the full width of the content. 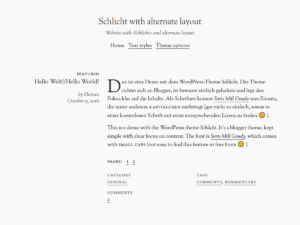 You can enable the Vollkorn font as an alternative to Sorts Mill Goudy in the Customizer. You can find the option under Appearance › Customize › Theme options. 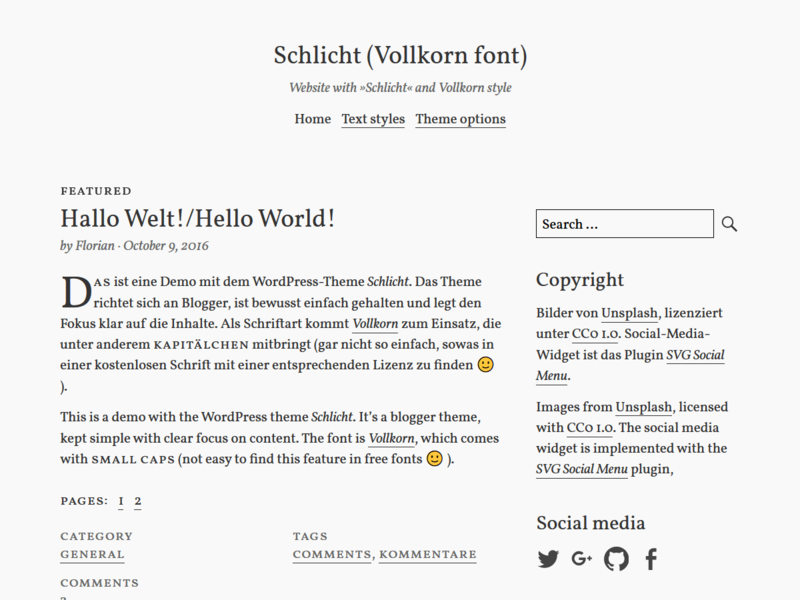 The theme comes with a template for displaying a page without a sidebar. 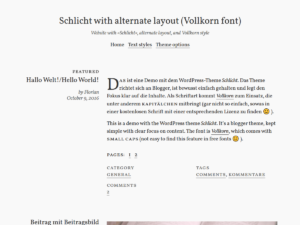 If you use no sidebar, you can enable an alternative layout to show the titles of pages and posts in a column left beside the entry’s content. Besides the main menu below the site’s title, there is the possibility to use a menu position in the footer (above the widget area). 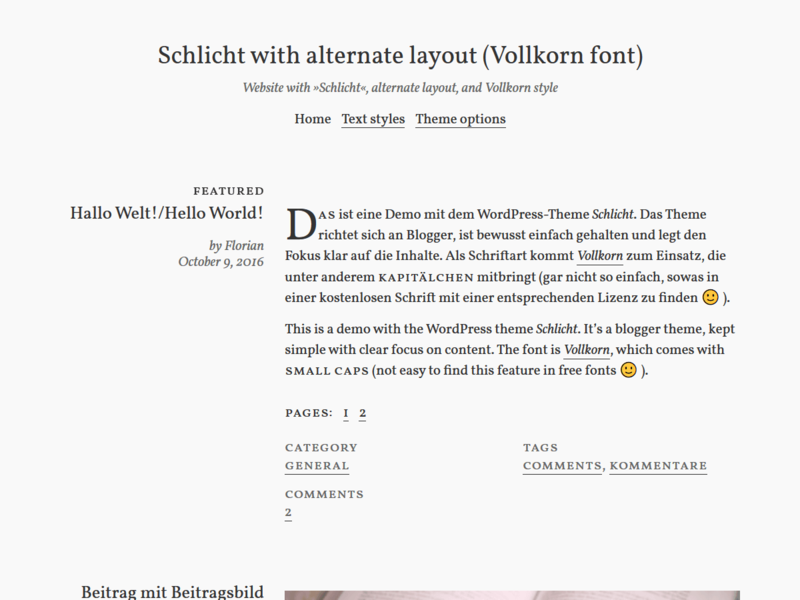 The theme brings two widget areas: One in the sidebar and one in the footer.